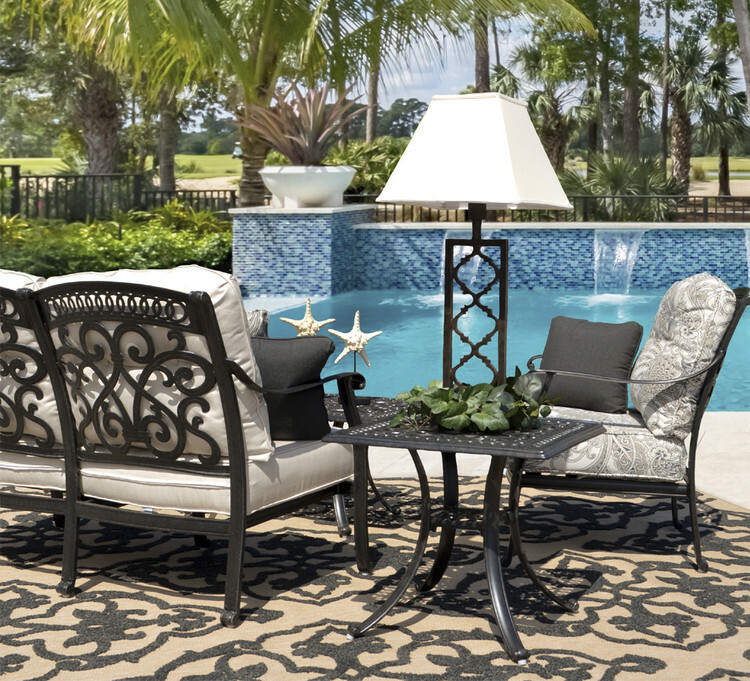 The Dauphine Collection Cast Aluminum Outdoor Furniture by Watermark Living™ makes a beautiful addition to patios, courtyards, restaurants and cafes, atriums, gardens and more. Each top quality piece is durably constructed for life without sacrificing style. Choice materials and the highest quality finish ensures each piece will withstand abuse from regular outdoor weather-exposed use while continuing to look great.